10 days | From 13500RMB/pers. Myanmar has incredible site-seeing, temples, lake and scenery. You will be amazed with this 10 days tour. You will explore the local culture, ruins, fishing and come back full of memories. After breakfast, transfer to Mingalardone airport for your flight to Bagan. On arrival, your journey begins with a visit to Tayokye Pyay for a first overview over the plain of magnificent Bagan. Continue to Shwezigon Pagoda and its glorious golden stupa. Then, visit to nearby Wetkyi-In Gubyaukgyi, a cave temple with exquisite jatakas murals paintings and the elegant Htilominlo Temple noted for its fine plaster carvings and glazed sandstone decorations. In the afternoon, visit to the Ananda Temple, an architectural masterpiece of the early-style temple with two original standing Buddha images showing changing facial expressions depending on the distance the statue is viewed from. End the day with a horse carriage tour among the temples starting at Ananda and passing Thatbyinnyu, the highest temple in Bagan, the massive Dhammayangyi Temple noted for its remarkable brickwork and Sulamani. Moreover, enjoy the unforgettable sunset over the site from one of the open upper terraces in Bagan. Hotel: Overnight in Tharabar hotel. After breakfast at the hotel, visit the colorful Nyaung Oo Market before proceeding to Myinkaba village. We go for a walk through the village and have the opportunity to visit the local sites such as Gubyaukgi, with some of the oldest mural paintings, Manuha and Nanpaya as well as look into the production process of lacquer ware, one of the best-known Myanmar handicrafts in one of the local family workshops. In the afternoon, visit to the countryside village of Minnanthu, the least visited area in Bagan with temples such as Payathonzu, with its unusual architecture and Tantric Buddhism influence, Lemyethna and Nandamannya, before heading to the riverside near Nyaung U Village where we board a local boat for a slow cruise down the Ayeyarwaddy before sunset. After breakfast, transfer to Nyaung U airport for the flight to Mandalay. On arrival, your journey begins with a visit to the Mahamuni Pagoda, famous for its venerable statue of Buddha covered with gold leaf. The Mandalay, it is famous among the International visitor by Rudyard Kipling’s “Mandalay” poem. Moreover, it has also long been known as a center of skilled craftsmanship and in former times supplied the Royal courts. A tour of traditional workshops includes crafts such as woodcarving, marble masonry, Kalaga tapestry and gold leaf making. In the afternoon visit the Kuthodaw Pagoda with its 729 marble stone slabs of Buddhist scriptures (the world’s biggest “book”) and Shwenandaw Monastery, noted for its exquisite woodcarving. End the day with a view of the sunset from Mandalay Hill. Hotel: Overnight in Red Canal hotel. After breakfast at the hotel, depart for an excursion to the former capitals of Amarapura, Ava and Sagaing. 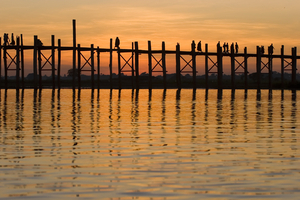 You will have an opportunity to attend the daily meal of over thousand monks at the country’s largest monastery; Mahagandayon in Amarapura before a walk at sunset over the 200 year-old U Bein Bridge, constructed entirely from teak. Then, proceed to silk weaving workshop. Continue to Ava, the capital from 14th to 18th centuries and visit by horse and carriage the old wooden Bagaya Monastery and the remains of the Royal Palace and fort. In the afternoon, we cross the bridge over the Irrawaddy River and continue to Sagaing. Covered with 600 white-painted pagodas and monasteries, Sagaing Hill is widely regarded as the religious center of Myanmar and is home to 3,000 monks and 100 meditation centers. Visit Swan Oo Ponnya Shin Pagoda, Shin Pin Nan Gyaing Pagoda and U Min Thone Sae’. In the afternoon, transfer back to Mandalay. Breakfast at the hotel then transfer to the airport for domestic flight to Heho in Shan State. Continue by car and enjoy a scenic drive to Pindaya through the picturesque countryside of Shan State. Visit Pindaya’s limestone cave with its maze of chambers displaying more than 8,000 Buddha statues and local handicraft workshops producing Shan Paper made from mulberry bark and traditional umbrellas made from the same paper that are used by monks all around the country. Hotel: Overnight in Inle Inn Pindaya Hotel. After breakfast, transfer to Nyaung Shwe, the gateway village to Inle Lake. Stop at the wooden Shwe Yan Pyay Monastery on the way. 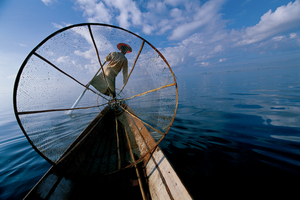 Board a private motorboat to head out onto Inle Lake, one of Myanmar’s most spectacular sights. We pass villages built on stilts over the lake, which are mostly inhabited by Intha people, the leg-rowing fishermen of the lake and see the floating gardens built up from strips of water hyacinth and mud and anchored to the bottom with bamboo poles. 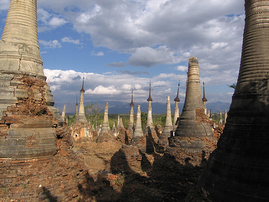 Visit the Nga Hpe Chaung Monastery and its Shan Buddhas and Phaung Daw Oo Pagoda, the lake’s main sanctuary. Your sight seeing also includes a visit to the weaving village of Inpawkhone, a cheroot factory where the typical Burmese cigars are made by hand. Hotel: Overnight in Inle Resort hotel. After breakfast, we head to the morning market on the lake. Rotating around villages on and near the lake in a 5 day rhythm, a colorful market visited by lake inhabitants and surrounding hill tribes is held daily (except on new and full moon days). From the middle of the lake, continue down a small canal leading to the Pa O village of In Dein. After a walk around the village, passing a local school, take the covered stairway to the beautiful Alaung Sitthou area where ancient stupas are partly covered by vegetation. From here there is a magnificent view over the lake. In the afternoon, return to lake. Overnight in Inle. After breakfast, transfer to Heho airport for the flight to Yangon. 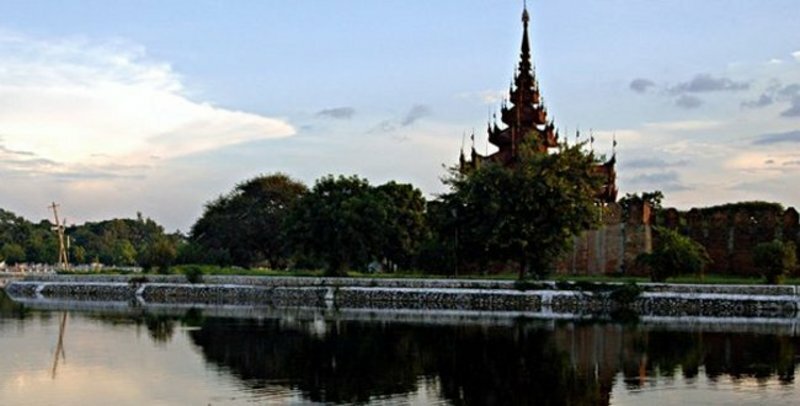 Upon arrival, explore around the city center and stop for a while to take photos near the Sule pagoda. Walk around the Mahabandoola Park to see the colonial courthouse and the city hall. In the afternoon, explore the China town and visit one of the Chinese temple. Hotel: Overnight in Kandawgyi hotel. After breakfast, transfer to Mingalardone airport for your onward flight. Please note that credit cards and traveller cheques are not accepted in Myanmar and that visitors must be bring sufficient cash (best in US Dollars, but Euros also increasingly accepted) to change and make any purchases and payments. Please bring new US Dollar bills ("big heads" instead of "small heads") and with series numbers not starting with CB as these are not accepted in Myanmar due to rumours these series are counterfeit. Furthermore please inform passengers that they should NOT change money at the exchange booth at the airport just after immigration, as the market rate in town is MUCH better. Travellers to Myanmar are required to have a travel insurance covering the cost of medical evacuation flights.